Pat the prawns dry with paper towel and place in a bowl. Add the taco spice mix and toss to coat. Heat the oil in a large frying pan over medium-high heat. Cook the prawns, in two batches, for 3-4 minutes or until the prawns are slightly charred. 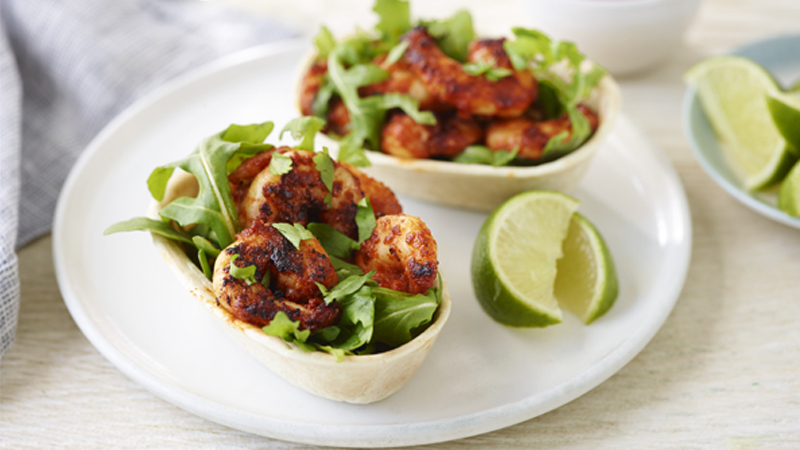 Build Stand ‘N Stuff™ Tortillas with baby rocket, prawns, salsa and lime wedges. Garnish with coriander.